Yes, you can get local TV channels with your DISH installation. I used to think this wasn’t the case. Long story short, I wanted to go fishing on the other side of the state. My then-girlfriend wanted to see her little brother, whose scholastic achievements were to be highlighted by a local TV news station. To solve this, I rented an RV with satellite TV. I thought I was so slick! As it turned out, I was a better fisherman than I was a boyfriend. My ex missed her brother’s TV debut, which quickly turned into “another broken promise” from me. Our relationship didn’t survive the trip home. As a result, I took out my fury out on Duke of Duke’s Camperland and RV World. This experience led to me to falsely believe that it was “impossible” to get local TV with a satellite dish. I was dead wrong about this, of course. Had we stayed in our home market, the DISH installation in the RV would’ve picked up six to 10 local channels. This is the average amount of free local TV a DISH account will receive. By taking a few extra steps, anyone with a DISH installation can get nearly all the local TV in any market based on physical location. While this information wasn’t enough to save my relationship, it is great news for anyone who wants to enjoy both DISH and local channels. DISH customers can get some local TV channels with their satellite TV package. 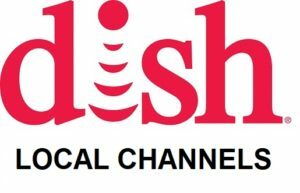 On average, DISH customers are able to receive six to 10 of these free, local channels. What if you want more, though? Small TV markets can average about 30 stations and sub-stations, while larger markets feature more than 75. That’s a lot of TV, and you can watch most of it… if you work with Signal Connect. 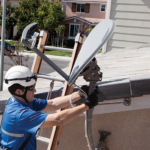 We’re a DISH Authorized Dealer that provides total satellite TV solutions to our clients. 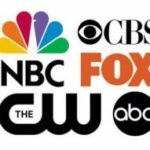 One of our specialties is helping you get the most local TV channels alongside your DISH programming. If you have a Hopper DVR, you can record local TV channels using the Hopper OTA adapter. If you have a DISH Hopper or Wally receiver, you get your local TV stations in the same guide in your satellite channels. Older DVRs such as the 622 can’t record antenna TV because the adapter for these devices has been discontinued. Signal Connect can match you with the best TV antenna along with your DISH account. To do this, we turn to Solid Signal, an online electronics retailer and division of Signal Connect. Solid Signal carries a wide variety of TV antennas in its online inventory. The company’s reps will match you with the best TV antenna for where you live and other factors. 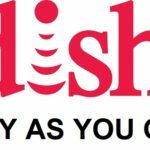 A DISH account is superior to cable. It provides more channels than cable TV, and you can add a TV antenna to the installation. It’s the best of both words. As a DISH Authorized Dealer, Signal Connect can help you get all of your favorite news, sports, and entertainment programming. Our reps will get you the best DISH channel package, connect you with a local DISH installer, and activate your account. For all this and more, call Signal Connect at 866-726-4182. * Please note that DISH is offered as a residential only service through Signal Connect. DISH Vs Cable: DISH Wins! This entry was posted in DISH, For Installers and tagged Channel Lineup, dish, Equipment, installation. Bookmark the permalink.